Guest post by Maria Veits. 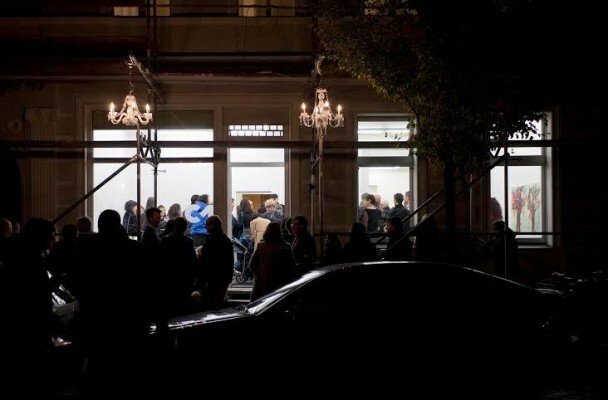 The presence of Israeli artists at the German art scene is becoming more visible each year – they are actively exhibiting, doing residencies and producing new works, many have decided to move here to have a possibility to work with a wider audience and merge into the international art context that Berlin or Cologne has to offer. This leads to growth of various art initiatives run by Israeli artists in Germany. 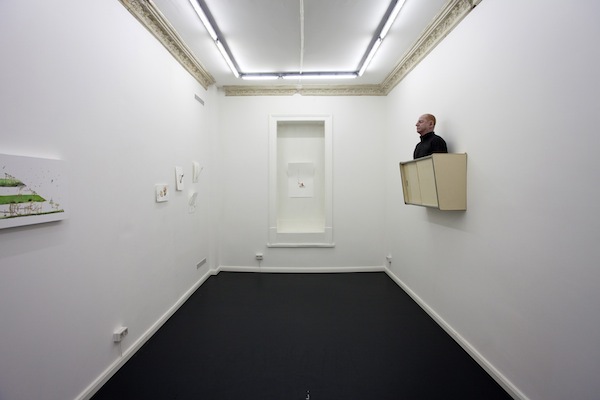 For instance, in 2012 the artist and curator Lior Wilentzik initiated a project called Die Asporas, which presents young Israeli artists who moved to Berlin and research their new environment trough a connection to a strong cultural identity issue. Wilentzik created a unique platform that gives a very specific sociopolitical context to young contemporary Israeli art. The project provides a new concept of group exhibitions: those are site specific group installations where artworks of different artists aren’t presented independently from each other but instead create one united visual installation. 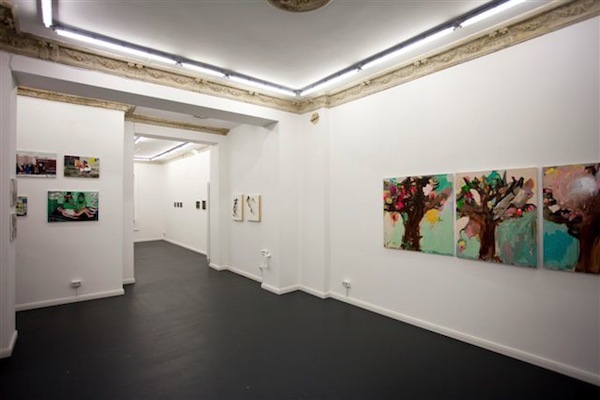 Another rather special project launched by Israeli artists and curators is a non-profit art space in Berlin’s Kreuzberg that first opened in November 2013 and has already proven to be quite a vibrant spot with intensive exhibition and event programs. 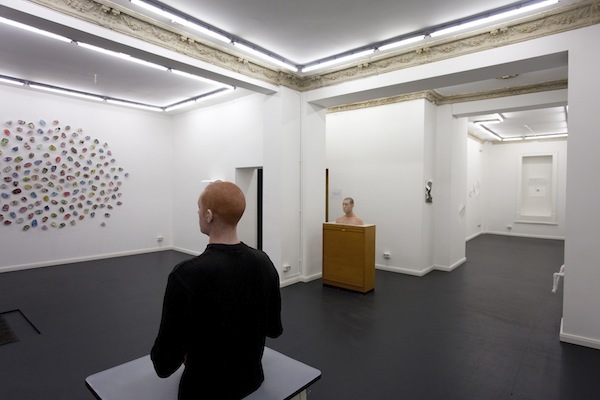 The initial concept of Circle 1 is based on integrating Israeli art into the art scene of Berlin and showing works by both acclaimed and emerging Israeli artists. This explains the name – the “first circle” in Hebrew has a connotation of something close, homey or inviting so the gallery could serve as a home for Israeli art. 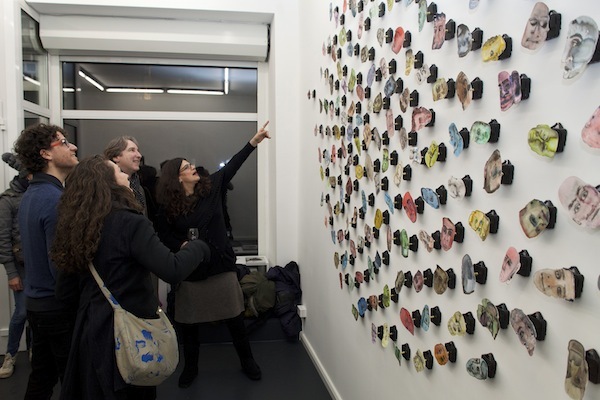 However, Circle 1 doesn’t want to create rigid boundaries for itself by showing strictly the artists from Israel and therefore organizes mostly group exhibitions with participation of international artists. When asked about the gallery’s curatorial policy, one of the cofounders, curator Doreet LeVitte Harten says she is interested in something she hasn’t seen before, something risky and new. ‘Sometimes Israel reminds me of one big family. But how many taboos can you break within your family? Hardly a lot. Therefore many artists don’t take risks, so when you find someone who does, you want to show their works to a wider audience’, she says. Being a non-commercial space and thus not depending on sales, Circle 1 can freely choose the artists they want to work with. The first show that opened in November brought together ten Israeli artists including Zoya Cherkassky, Yoav Efrati Eldar, Alona Harpaz, Gil Shachar and Jan Tichy. 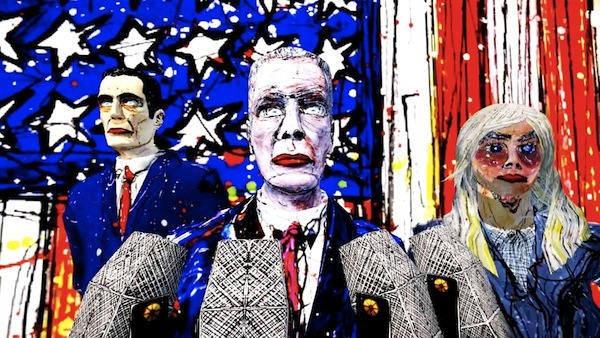 The works were not connected with a particular theme, neither was the show based on the artists’ shared national background. Rather, with their first exhibition Circle 1 wanted to outline its main concept – to show artists they believe are good – and to set the framework for its future development. The latter includes a wide educational aspect as well. The four founders of Circle 1 – a curator, an editor and two artists – see the space not only as a gallery but rather as a multifunctional platform for dialogue and new knowledge production that would touch upon various fields and not solely art. Alongside the exhibitions that open here each five weeks, Circle 1 organizes a multidisciplinary program of lectures, artist talks, screenings and performances held by artists, curators, researchers and musicians. The range of topics to be discussed looks promising: from quantum physics to Judaism as philosophy and from science fiction to art issues. So does the list of the upcoming events: artist talk of Yael Bartana, lecture by Dr. Roee Ozeri on quantum computation, talk by Yoav Shavit and screening of the movie “Coffee – Between Reality and Imagination” by young Israeli and Palestinian filmmakers, a musical performance by musician Avi Avital and many more. Inviting professionals from such diverse fields Circle 1 by no means demonstrates a lack of a conceptual policy of the gallery, but rather creates a situation where different disciplines can meet and provokes exchange between them, providing artists and speakers with a space for an intercultural and crossdisciplinary dialogue. Currently Circle 1 displays the works by four artists: videos pieces by Tamir Zadok and Frederico Solmi and an exhibition of Roy Mordechay and Gil Shahar “Hals – und Beinbruch”. The mockumentary “Gaza Canal” by Tamir Zadok brilliantly observes all the conventions of the genre – a promotional film telling the story of a big tourist attraction demonstrated in its visitor’s center, you can see videos like this in most of the well known touristic spots – and therefore looks totally authentic. Using subtle humor the artist suggests a rather extreme solution for the Gaza conflict. Including a number of interviews with fake tourists to this new exciting site, fabricated facts and convincing graphics and diagrams, the film offers the viewers a story of the how the Canal, initially an American idea, was being built starting from the 2000s and finally separated Gaza into an island disconnected both from Israel and Palestine.The animated film by the Italian artist Frederico Solmi “Chinese Democracy and the Last Day on Earth” is another satirical video work in the exhibition and presents a contemporary society as a world ruled by a heartless corrupted dictator deprived of any moral values. 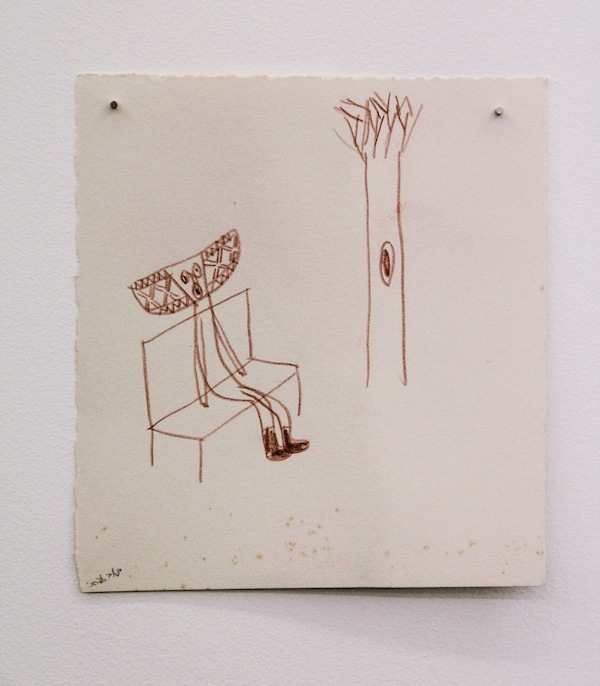 Roy Mordechay and Gil Shahar decided to have a joint show and presented their older and recent works – objects, watercolors and installations. One of the central works of the show is Mordehay’s work Off With Their Head, which represents a few dozens watercolor drawings of men’s heads attached to a clock mechanisms. That makes the heads simultaneously spin with the same speed and produce the sound of many ticking clocks. Since Roy Mordechay is, like me, currently based in Dusseldorf and is practically a neighbor, I had a chance to ask him a few questions about the show and his further plans. You are now living in Duesseldorf, the city famous for Josef Beuys and the Art Academy. Do you feel any influence of this context on you as an artist? Unlike Germany, Israel is a place with a relatively short national (and art) history, and this difference raised many questions for me in relation to my works, since many of them deal with broken identity and fragments of cultures. It is interesting to be in a place which has a natural and organic chain of history, it gave me a totally new and surprising perspective. I exhibited several times in Dusseldorf and now have a better understanding of the place and some months ago I moved here. Looking at your work Off With Their Heads, which is currently on view at Circle 1 now, I’m asking myself why these are only men. To my mind, among other things, the work plays with the idea of the daily life routine being tiring and tedious on the one hand, but also endless and therefore reassuring on the other. Isn’t that universal for all of us? It is universal, but somehow it came to be like that in this work. It started with faces I saw around my studio in the south of Tel Aviv: labor migrants, refugees and local workers, most of them are men. As a man I could relate to it. I think, the work also clearly conveys the tension between the gentle manner of watercolor on paper and the hardness of these men. So maybe the reason is formalistic. I also feel that the way I painted them is filled with compassion towards the endless and inevitable circle of machismo men are entangled to. Next year you will participate in a large-scale show Working Environments curated by Revital Ben-Asher Peretz that will take place in Helena Rubinstein Pavilion at the Tel Aviv Museum. Could you talk a bit about your work for this exhibition? Preparation for this show for me is a very intense process and it also involves my father who is a carpenter. All I can say so far is that that we are going to work together and that my work is related to our biography. Unfortunately I can’t say more – you’ll have to come and see for yourself. All works will be on display till February 15th. Post by Maria Veits; all exhibition shots by Asaf Oren.